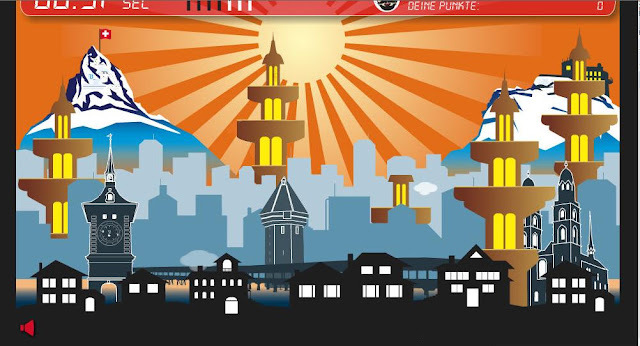 NEW SWISS ONLINE GAME TO HELP STOP ISLAMIZATION OF EUROPE……! – The Tundra Tabloids……. NEW SWISS ONLINE GAME TO HELP STOP ISLAMIZATION OF EUROPE……! KEEP A MINARET FROM GROWING AND EARN POINTS! Previous Post Previous Post RUBIN REPORTS: FREED REPORTER BUSTS US POLICY MYTHS ABOUT TALIBAN, AFGHANISTAN AND PAKISTAN……. Next Post Next Post ARAB-MUSLIM POLITICAL AND MILITARY COOPERATION WITH NAZI GERMANY STILL TABOO……. Damn, that's tough. And the chants of "Allahu Akbar" get really annoying. On your website I saw an add not to Link Little Green Footballs. Please, explain. Hi Inalienable Rights, I forgot to inform the readers to turn down the sound…the wailing does tend to grate the eardrum. Sorry about that! TxLady, the reason for the "do not link" ad, is due to LGF's refusal not to correct it's reports after they have been pointed out to have been false. He has also been proven to be a serial libelist and smearer of people out there fighting the good fight against the jihad. That makes LGF no longer worthy of linking to, CJ has become the Dan Rather of the blogosphere. I thank you for the forthright response. I have noticed also some other troubling things to myself. Charles is interjecting more and more and the commentary is on the descent. He seems to have an agenda and it's his website so he is well within his prerogative. The website is no longer conservative. It's agenda driven.